This wood is just past Washdyke Road on Fenside Road. 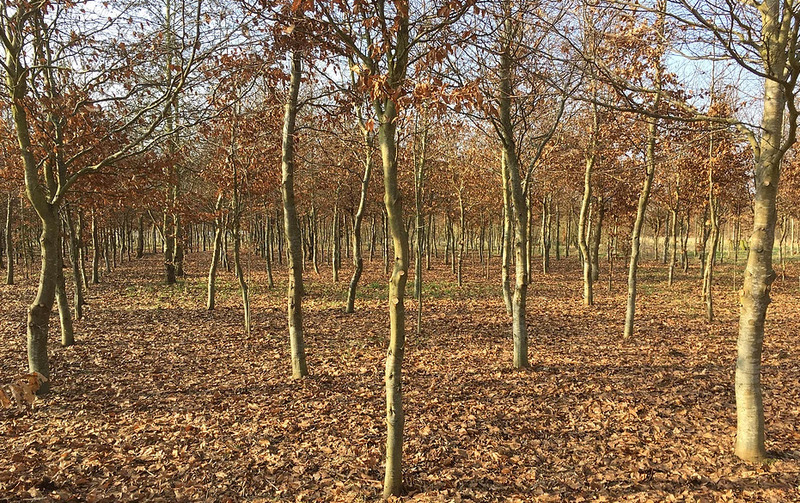 The central section was planted in 2001 with beech and hornbeam trees plus field maple, hazel and hawthorn and is now well established. in 2015 Boston Woods Trust purchased the two five acre fields either side of Beech Wood. The field to the south of the original wood was sponsored by the Lincolnshire Co-operative Society and named Pioneer Wood. The area has been landscaped with all-weather paths which lead to a pond and a small amphitheatre. It has been planted with a mixture of native trees and seeded with wild flowers. ​The field to the north has been designated as Woodland Green Burial Site “…at one with nature” although this does not affect visitors who are welcome to enjoy all parts of the site. Either side of the all-weather path are glades in the tree planting which have been seeded with wild flowers. The glades are named after the predominant trees which have been planted around them. ​There are two parking areas available.